All aboard for our new personalised mugs! There are fewer pleasures in life than a mug of steaming coffee. No matter where you are or where you're headed, a morning espresso or filter is the premier way to start the day. At Camaloon, we know this only too well. We also know that if, given the chance, we'd rather drink our morning coffee from a gorgeous mug that we designed ourselves. Because that plain blue one we got free with our subscription to Knitting Monthly just isn't doing it for us anymore. So behold, our new personalised mugs at your service! Since we use the absolute latest in printing technology, we needed to find the right fit when it came to the cup part. 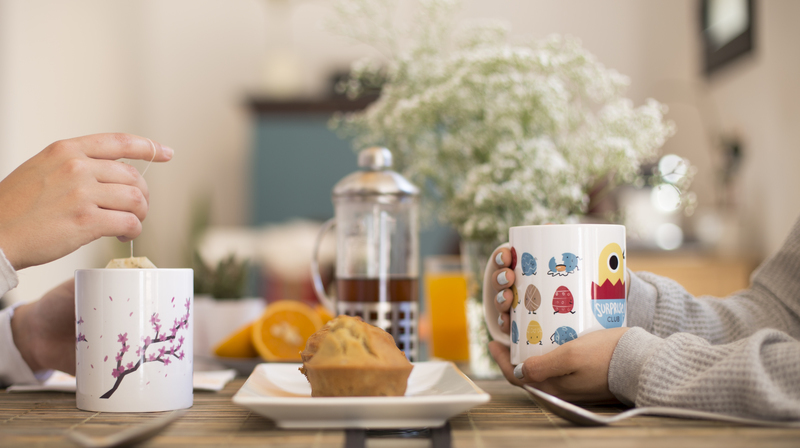 We're proud to say we have a happy marriage: a premium ceramic mug and long-lasting, high-quality prints. Personalise mugs with our simple step-by-step process. 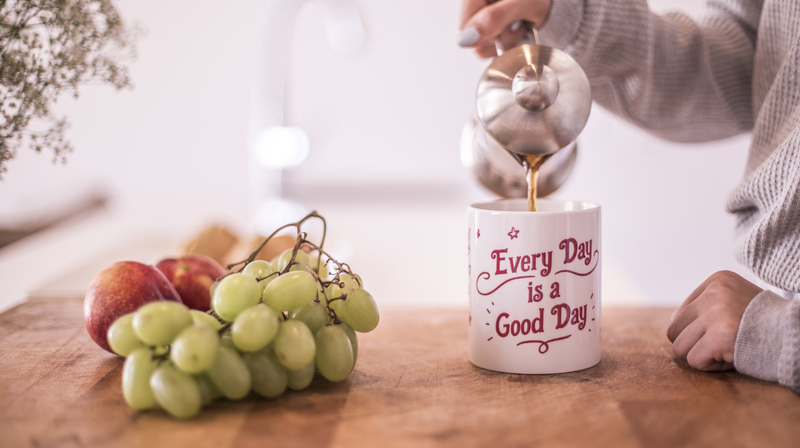 Upload your photos, designs, logos or text in a wide range of fonts to a mug that's going to make you smile first thing in the morning. Got an idea for your new printed mug? Our nifty online design tool makes life easy peasy. Start making your mug here.